August 1, 1966 came during a strange period in my life. Within six weeks, I would be in a coma at Fairview General Hospital in Cleveland while a team of doctors tried to figure out what was wrong with me. My family physician, Michael J. Eymontt did not have access to CAT Scans or MRI, but he was an endocrinologist and figured that something might be going on with my pituitary gland. He was right. I read about the Austin, Texas shooting incident in the Cleveland Press and Plain Dealer. Never before had I or my family seen such a gratuitous act of violence toward the innocent. 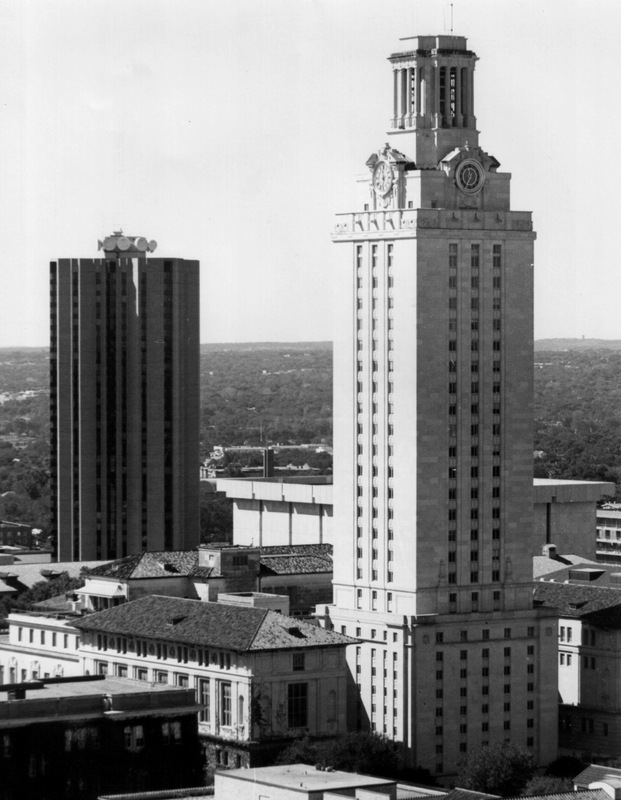 Charles Whitman first killed his mother and his wife, and then took guns to the tower on the University of Texas campus and opened fire at random people who were just going about their business. In an hour and a half, he killed thirteen people and wounded thirty-one. Too bad he didn’t have access to the hi-tech military weaponry that was used in the Las Vegas mélée by Stephen Paddock. 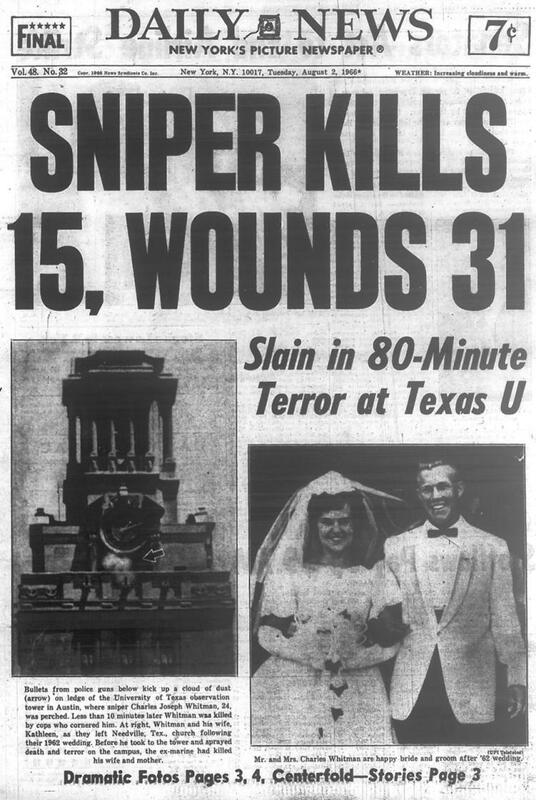 When I was recovering from surgery in the hospital, the news came out that Charles Whitman had had a brain tumor. Okay, so did I, but I didn’t kill anybody. That’s a pretty lame excuse. So now we’ve come full circle with another Texas shooting—one in which half the victims were children, at a church no less! Between the two incidents, I would have trouble counting how many mentally twisted gun collectors decided to take it out on innocent people. It’s becoming a very popular way for gun freaks to commit murder and suicide at the same time. Thanks to the NRA, there is no danger that Hell will ever be underpopulated with American sickos. This entry was posted in history and tagged guns, nra. Bookmark the permalink.